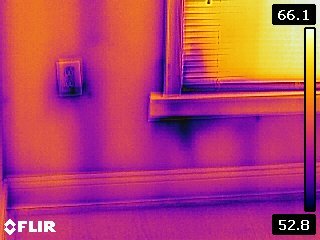 A limited thermal imaging scan of the interior will be performed at the home inspection. 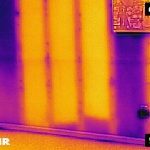 Thermal imaging is a useful tool when the conditions are just right — Optimum conditions will achieve the best results. 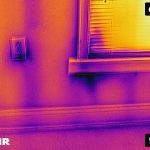 Due to the nature of a home inspection, the use of a thermal imaging camera will be limited, or may not reveal all potential defects within the structure. Below are some limitations. 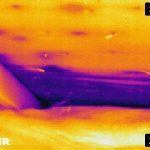 A thermal imaging camera is useful for finding hidden moisture. Hidden moisture may be the result of a roof leak or a concealed plumbing leak. In regards to a roof leak, if it has been more than 48 hours since the last rain, there is a possibility that the moisture has dried from the surface. In this case, the probability of detecting moisture is reduced. Considering a concealed plumbing leak. It is not unlikely that a drain pipe may only leak when a large volume of water is drained through it. The home inspector makes attempts to stress the plumbing system in the short amount of time spent at the home but leakage may not occur. In this case, the probability of detecting moisture is reduced. A thermal imaging camera cannot see through items. 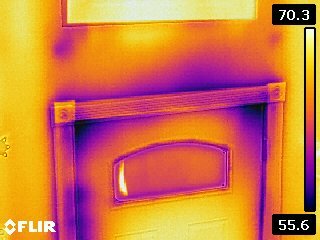 There are a few materials that infrared can pass through such as plastic bags however, 99% of the items within a house emit or reflect infrared. The inspector is not required to move stored items, furniture, curtains, etc. 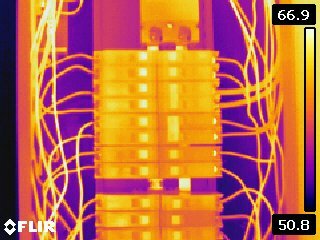 Keeping this in mind, thermal anomalies may be concealed by stored items within the structure. For example, when the inspector enters a bedroom they are not required to move the dresser, move the bed, move the TV, remove clothes and boxes from closets, etc. These stored items limit the thermal imaging scan. 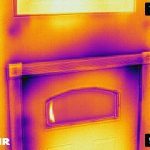 A thermal imaging camera can be used when viewing the inside of a panelboard. In an electrical system, heat will develop where there is resistance, at poor connections, arcing, or when a circuit is under load. Stressing of the electrical system is impractical at a home inspection — the home inspection is not technically exhaustive. 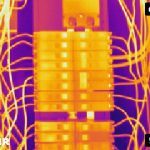 The limited thermal imaging scan does not stress the electrical system to diagnose or trouble shoot potential problems. The inspector will scan the interior of the equipment at the visual inspection of the panelboard(s). 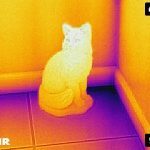 The thermal imaging camera will achieve the best results when a 15F temperature differential is present. If the utilities are off and the temperature of the surfaces in the home are similar to the exterior, or there is not much of a temperature difference at the surfaces, the camera will not perform adequately or may not provide useful information. 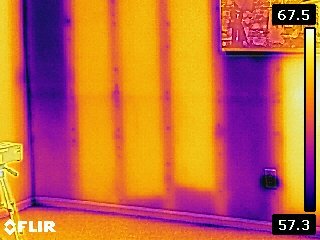 The inspector makes an attempt to run the furnace or A/C (depending on the season) for at least 30 minutes before using the thermal imaging camera. 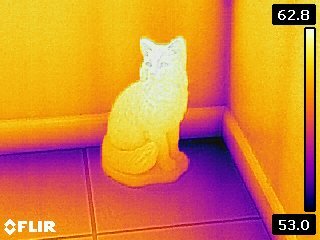 Gingles Inspections will only report significant thermal anomalies. Air leakage around a door may be reported as weatherstripping needing replacement and/or adjustments to the door hardware. A thermal image would not be posted in this instance. 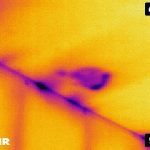 Your inspection report may not have any thermal images present — Don’t be alarmed. 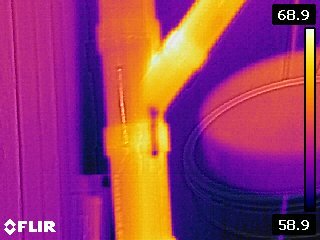 The infrared camera did not reveal thermal anomalies or significant anomalies at the time of the inspection. What can the infrared camera find?